Praised as "an artist with an already expanding reputation and great future" (The Well-Tempered Ear); cellist Andrew Briggs is a world traveler. Recent performances include recitals in Bergen, Netherlands and Narbonne, France; collaborations with the principal cellist of the Royal Concertgebouw Orchestra (Amsterdam, NL); performances in Paul Hall, NYC; with Axiom Contemporary Ensemble in Alice Tully Hall, NYC; and concerto appearances in Wisconsin and Colorado. 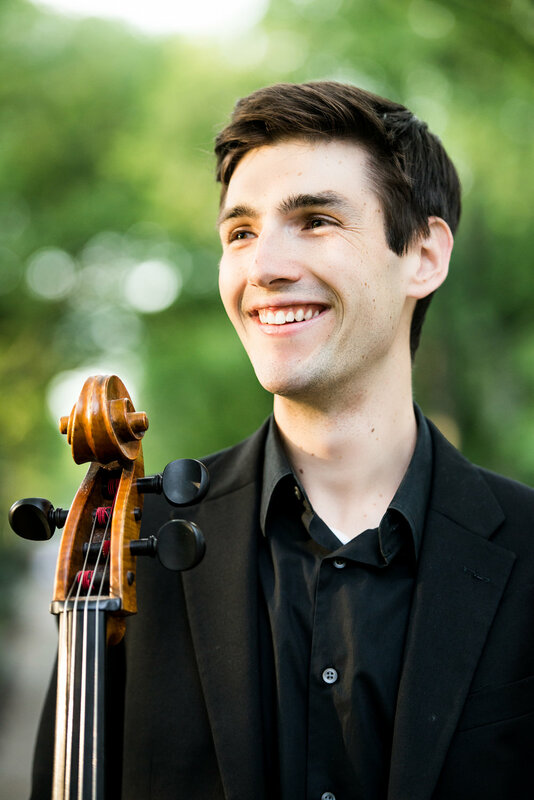 Last season, Andrew has performed pieces by Dvorak with the Middleton Community Orchestra, chamber music performances as member of the Elmwood String Trio, and in the cello sections of the Madison Symphony, the Colorado Symphony, and the Colorado Music Festival. Completing his Masters Degree at The Juilliard School, he recently graduated from the University of Wisconsin as a Doctoral student of Uri Vardi. His doctoral project, "Piatti and the Body: An Integrative Approach to Learning the 12 Caprices, Op. 25," can be found on Youtube.com. This is the finale of the 3 concert- residency at the Promontory. Doors will be opening at 2:00pm, go early for brunch or stay after for dinner. It’ll be a great day in Hyde Park. We’re thrilled to conclude with our friend and cellist, Andrew Briggs, joining us for Shostakovich’s most popular Piano Trio. Don’t miss it!